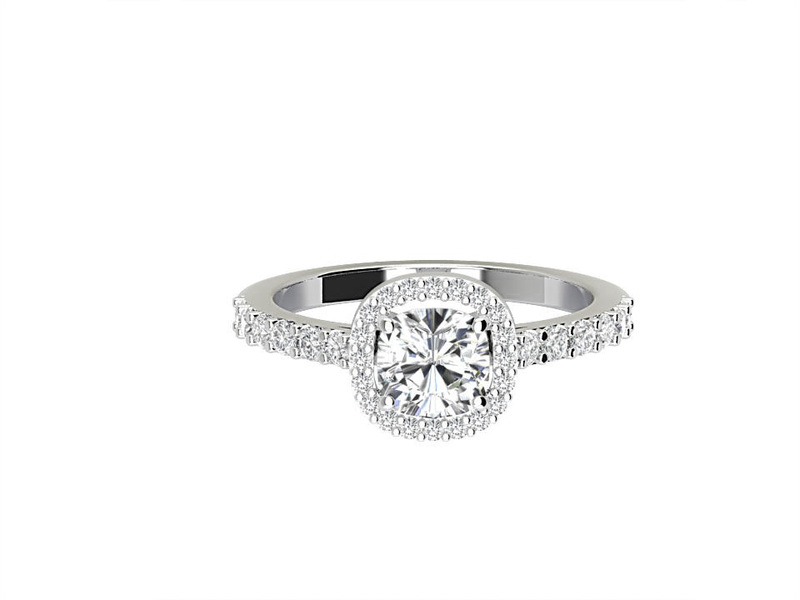 Set in 18k white gold with a total carat weight of 1.43, this round brilliant cut diamond engagement ring is surrounded by a halo of smaller diamonds . Set with a pave and scalloped finish, to give this ring a vintage feel. 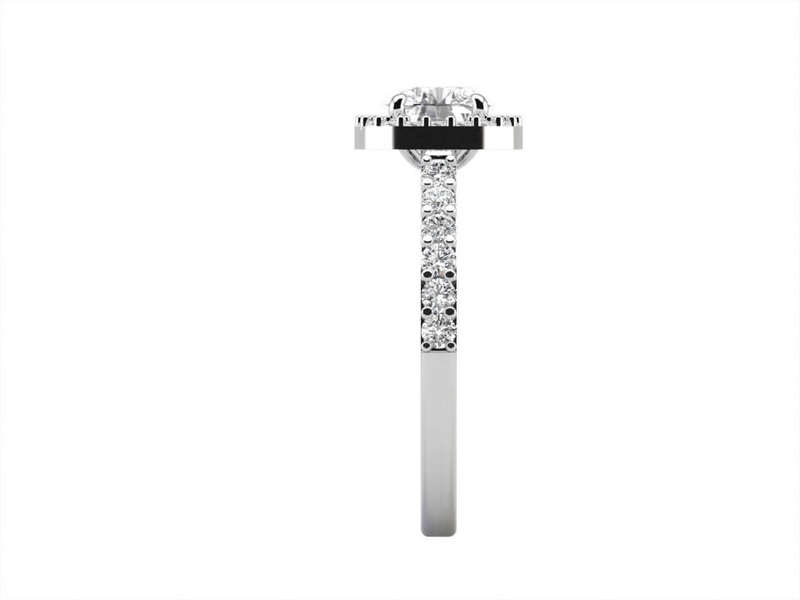 This ring is certified to state the carat weight of the centre diamond to be 1.0, F colour with Si clarity.